and again this year 24 wonderful gifts are waiting for you. 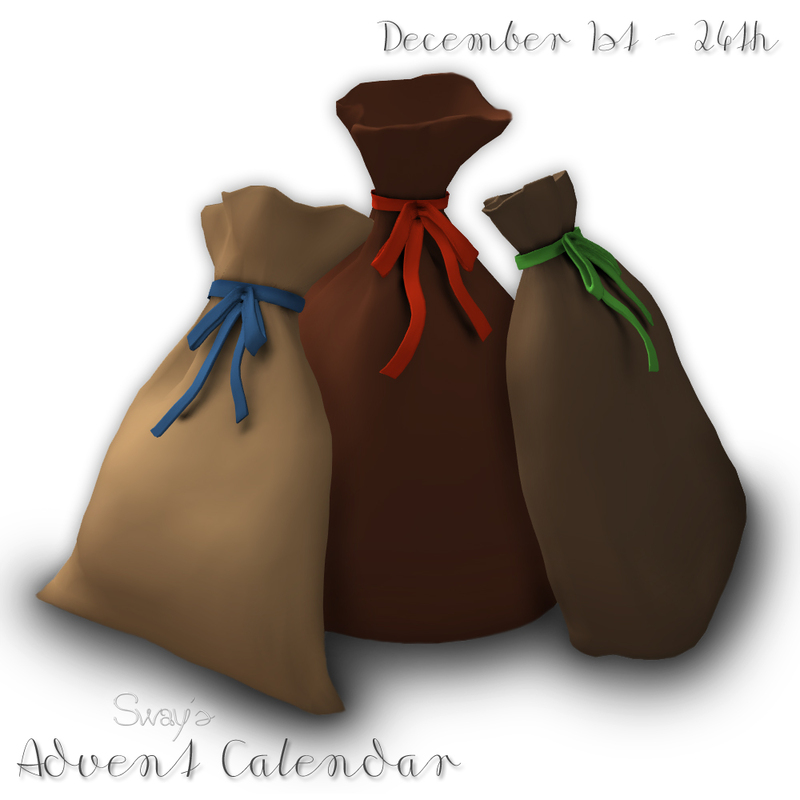 Each sack therefore each gift is available for 24 hours. have fun with the hunt and enjoy the gifts! • All over the SwayLand Sim I've hidden colored Boxes with numbers. Find the Boxes, touch them and you will get a NC with the Keyword. type the keyword in chat and you will get the Advent Gift. please "Copy and Paste" the Keyword to get all letters!